The 101 Spinning Wardrobe was one component of a larger refurbishment of a Victorian terraced single-family house in northwest London. It is part of a series of projects by Storp Weber Architects that investigate the effects of kinetic objects in existing building fabrics – an attempt to change the way spaces are seen and occupied through movement. In 101 Spinning Wardrobe the object introduced into the building is a moveable 'play structure' between the bedrooms of two children. Buster Keaton, Bruno Munari, and C.S. Lewis were the lead inspirations for experimenting with ways of dividing the available room into two. By a simple maneuver along the diagonal axis, each room gains space without the need for a corridor. This moveable object provides the children with the ability to pass through from one room to the other. If they wish to be left alone, they can lock themselves away from the adult world by blocking off the entrance to both rooms. 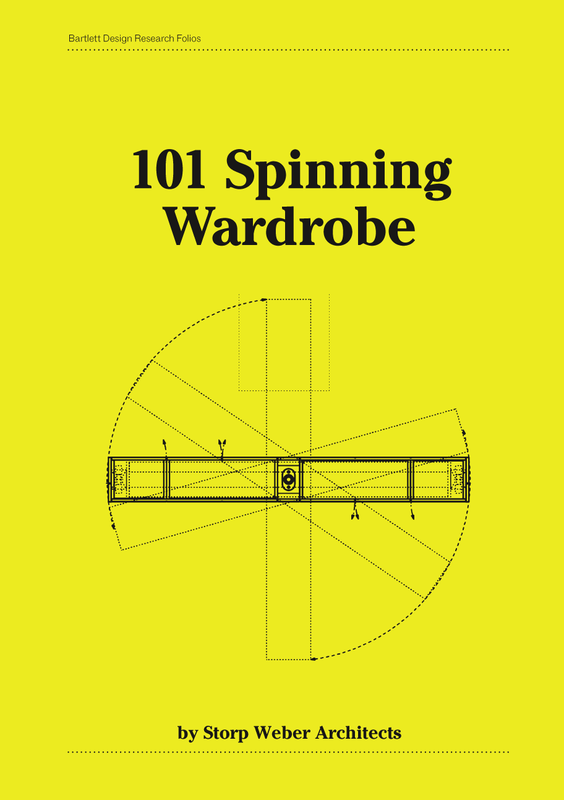 The 101 Spinning Wardrobe responds to research into the significance of kinetic environments for influencing the habits of children. It proposes that a playful environment can aid in the development of spatial awareness, alertness and wellbeing of children.